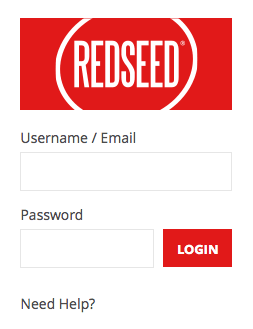 Go to www.redseed.me and click ‘login’ located in the top right-hand corner of the screen. Enter your username, which can be your username or email, your password which is case sensitive, and click login. If you'd like email alerts, and other useful things, sent directly to you then a unique email must be specified in your 'my account' settings. To access ‘my account’ select your name in the top right-hand corner of the screen. Your email and password are editable from the 'my account' page also.